Kory grew up in a family of small business owners. Going into college, he knew that he wanted to start his own business one day, just as many of his family members have done. 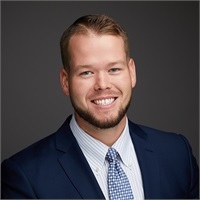 In 2013, Kory was introduced to the financial services industry at the University of South Florida, he quickly realized there was a substantial disconnect with small businesses and personal financial planning. While small business owners put their companies’ finances first, many ignore their own personal financial planning needs. This was his opportunity to begin a career that will allow him to build his own business as well as be a resource to other fellow business owners. Kory is an advocate for his clients and is committed to providing financial clarity in an increasingly complex financial world. He believes financial planning is a process, designed to form personalized strategies that are unique to each individual client’s goals. Advisors should take a fiduciary approach and act in the best interests of each individual client. Our job as financial advisors is to help! We have the opportunity to guide our clients through this financial noise that they are exposed to on a regular basis and properly educate them so they can make well informed financial decisions. Kory grew up in the Tampa Bay area. He currently lives in South Tampa with his wife, Shelby. Passionate about the outdoors, Kory enjoys fishing, boating and playing golf.